Prayer Request: On Monday 27th April Joseph will have a lumbar puncture to allow a protective chemo treatment of his central nervous system. Joseph has to fast for most of the day and then have the procedure. As we have said before we are convinced that he does very well on these days due to your prayers. Thank you for praying for Joseph. After our last update Joseph had his lumbar puncture. It was a long day of fasting for him. Several times he said “Daddy, I’m hungry,” and I replied, “Well son, I am hungry too but we can have something nice in a bit.” Fortunately it never got beyond that exchange. Then in the last hour of waiting he climbed into my lap and fell asleep. Joseph awoke long enough to see all the medical staff just before he went under anesthesia. 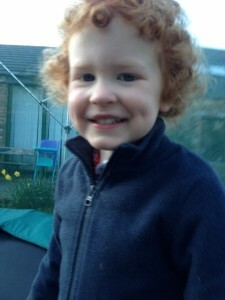 This day there was an increase in the dose of chemo as Joseph has grown. I was reminded that though uncommon there was a risk of seizure. However, after Joseph woke up from the procedure he was alert and reminding me of my promise of food. A kind nurse provided a small portion of ice cream and Joseph was thrilled! Once the ice cream was done he was ready to go home and play with his brothers. So we went home, and he immediately started running about with his brothers as Kate and I just stood there and marvelled. We could see a bit of the yellow/orange antiseptic (iodine), that covered about half his back, showing from time to time as he ran. You would never guess he had just had a lumbar puncture. Now that Spring is here, Joseph really likes to be outside. He enjoys bouncing on the trampoline and we are so pleased to see the level of body control he is acquiring as he does this. 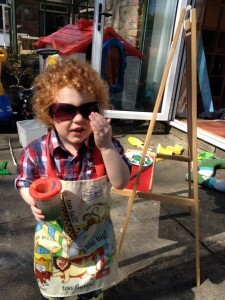 In addition to bouncing and playing with his brothers Joseph also likes to do a bit of painting outside on nice days. I believe that Joseph was working on a mountain landscape this day, though you can’t see it from this angle. 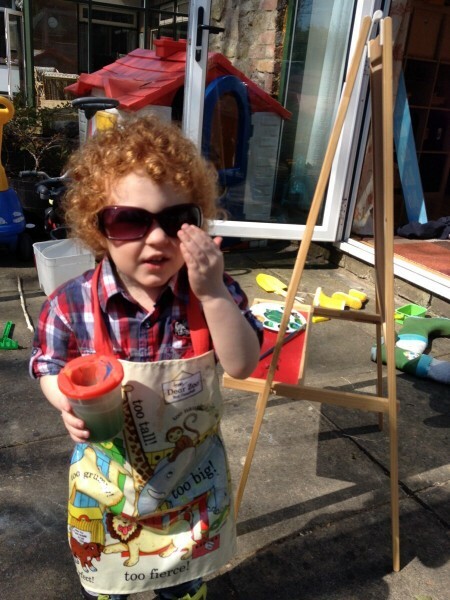 Since our last update Joseph has been twice exposed to chicken pox and once to scarlet fever despite all the efforts we make to protect him from potential infections. However, none of these exposures developed into anything and we again thank the Lord for how He has protected and strengthened Joseph. We often feel humbled by the tremendous level of grace we have received from the Lord. Then today we were listening to a message from the Bible that explained the super abundance of His kindness. God is a kind father who comforts us not only for our good but also for the good of others. Just as Joseph, when he was hungry and tired from a day of fasting could fall asleep in my arms trusting that things would be ok and receiving comfort from me even when his circumstances had not yet changed – so too are we to come to our heavenly Father and receive His comfort in our afflictions and sufferings. And His comfort is not just for us, but for the encouragement and comfort of others. If you are suffering today, come to the Father and ask for His help. He is the Father of mercies and the God of all comfort. 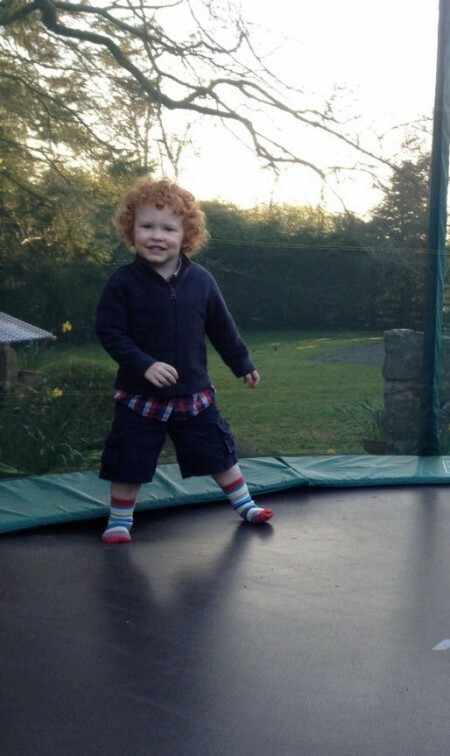 Thank you for the update on Joseph! We pray for him regularly. What a blessing to hear that he isndoing so well.